Solitary, Singular Sam Shepard The playwright and actor understood the cowboy life offered the best tests for civilization. 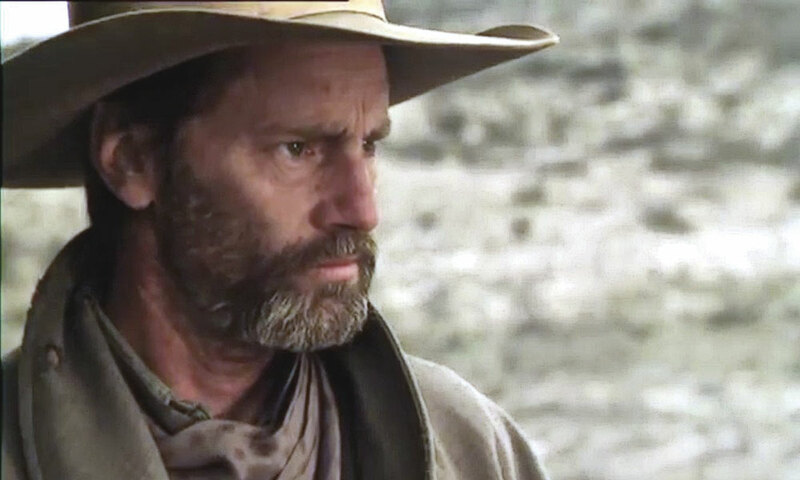 Our personal favorite frontier West portrayal by Sam Shepard was his role as the real-life Frank James in 2007’s The Assassination of Jesse James by the Coward Robert Ford. Sam Shepard died July 27, 2017, at the age of 73, after a hard-fought battle with A.L.S. His understated, natural style recalled actor Gary Cooper—both were movie-star handsome and exuded effortless self-confidence and masculinity. “He’s a great man, a natural man, which is rare…. I’ve had romances with what you’d call famous men, and none compare to Sam in terms of maleness,” Shepard’s romantic partner for 27 years, Jessica Lange, told Vanity Fair in 1991. 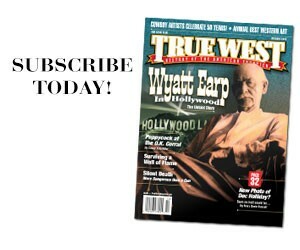 His chivalry touched this magazine personally, when Shepard asked the publisher’s permission before calling what would become one of his most-performed plays True West. Much admired as an actor, often described as the greatest playwright of his generation, Shepard won the Pulitzer Prize for The Buried Child, in 1979, and was nominated twice more. As an actor, he was nominated for an Oscar for his performance in 1983’s The Right Stuff and for an Emmy for 1999’s Dash and Lilly. In fact, over his career, he won or was nominated for just about every award a playwright or an actor could receive. His was not the life one might have predicted for a former ranch hand, rodeo cowboy and Rock band drummer who spent his one formal college year studying agriculture at Mt. San Antonio College in Walnut, California. His parents were farmers and teachers in Illinois. His father had been a bomber pilot during WWII, flying numerous raids over Italy. Tragically, his war experiences left him an alcoholic and a broken man. The explosiveness of Shepard’s family dynamic fueled his plays. When Shepard turned 30, he already had 30 plays produced. Malick was writing Days of Heaven, a story set in the early 20th century, about a poor migrant farm worker (played by Richard Gere) who convinces his lady love (Brooke Adams) to marry their wealthy, but dying, employer to inherit his fortune. 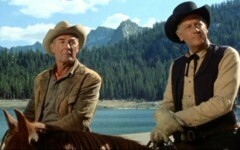 Malick offered Shepard the role of the doomed rancher. “I said, ‘Why not?’ I rented a Ford Mustang and drove to Alberta, Canada, and that was it,” Shepard recalled. One of the most physically beautiful movies ever made, it turned the three leads into stars. Although modern and sophisticated—Shepard did much of his writing in New York City and London—something about his looks suited historical stories. He would play many characters in many time periods, but he always returned to the American West. His understanding and respect for that world, and its people, informed all of his work. 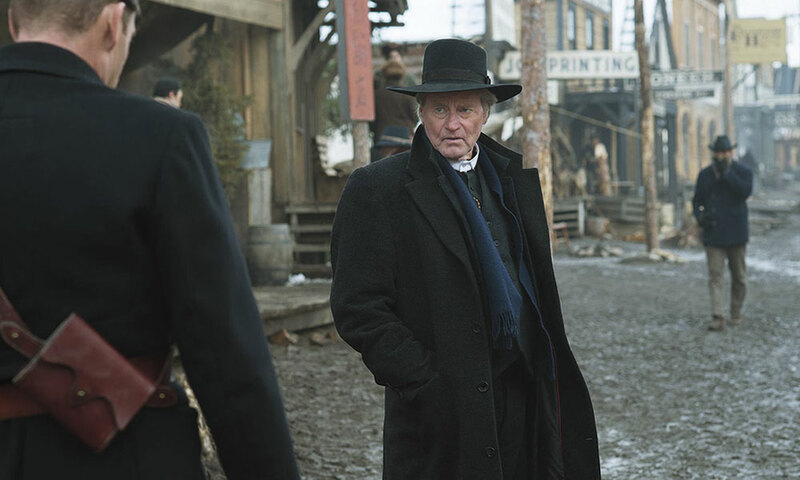 Sam Shepard’s final Western set in the frontier was Klondike, about the Yukon gold rush during the late 1890s, a miniseries that appeared on Discovery Channel in 2014. Whether in a lead or supporting role, his presence in a Western lent it authenticity. He was endearing as Pea-Eye Parker in the 1995 sequel to Lonesome Dove, Streets of Laredo. That same year, he played Tarnell, cowhand buddy to Tommy Lee Jones’s Hewey Calloway in the Jones written-directed feature The Good Old Boys. Five years later, Shepard played the sympathetic lawyer in All the Pretty Horses. In 2006, in the Western Action-Comedy Bandidas, Shepard played Mr. Buck, a retired bank robber coaching two ladies, played by Penélope Cruz and Salma Hayek, in his former trade. 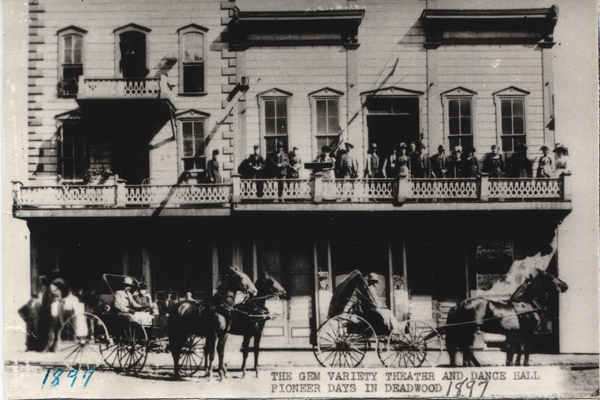 The frontier West even inspired Shepard and wife O-Lan Jones to name their son Jesse, after outlaw Jesse James, in 1970. Shepard went on to play Jesse James’s brother Frank in 2007’s under-appreciated The Assassination of Jesse James by the Coward Robert Ford. Though at 64, Shepard was 25 years older than the real-life Frank, his performance was excellent. His sober distrust of Ford made him easily the smartest guy in the bunkhouse. In the 1999 Fantasy Western Purgatory, Shepard is the gunless lawman in the town of Refuge, a waiting place for deceased Westerners whose final destination is not yet determined. His character may be called Sheriff Forrest, but he died holding aces and eights. His final Western lead was in 2011’s Blackthorn. 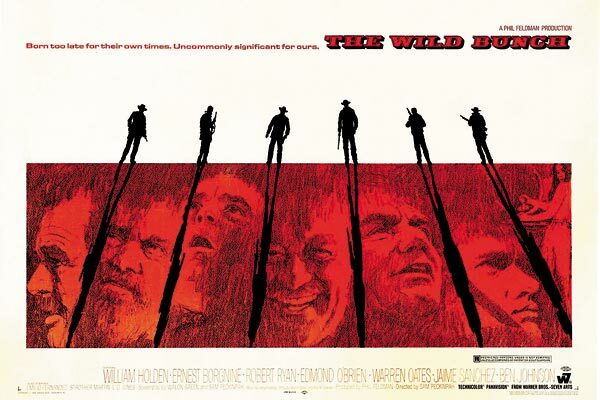 Living in Bolivia, where the movie was filmed, James Blackthorn (Shepard) is actually Butch Cassidy, who survived the shoot-out that killed his partner. Now an old man, he decides to head home, with the assistance of a young robber (Eduardo Noriega). The voice will live on. Lights, Camera, Miracle? With a Wild Bunch reboot on the way, Lucien Ballard’s work is attracting new eyeballs. Bad to the Bone Al Swearengen earned his vile reputation.